I can’t believe this is coming up just next week. If you know people in the cities, please share this info with them. 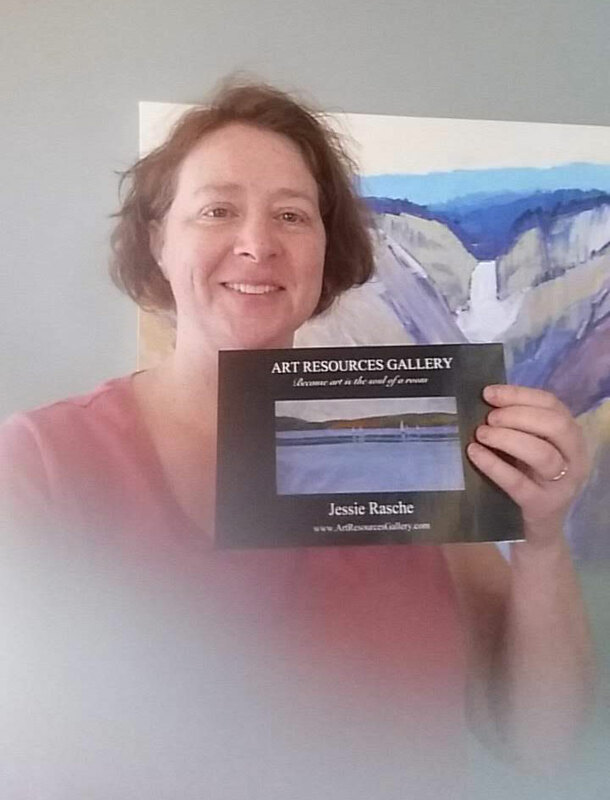 And let me know if you are thinking about seeing the show and would like a card, and I’ll put one in the mail for you (as supplies last). 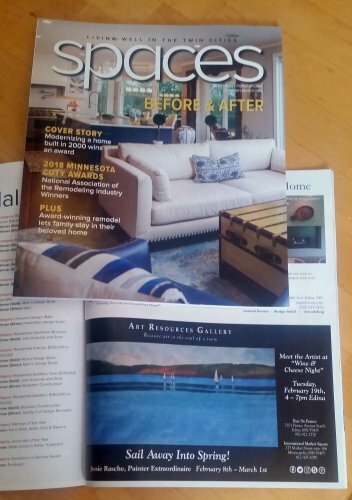 And check out the picture in the beautiful Spaces magazine of the Twin Cities. Thank you so much, Beverly! I love this! The exhibition opened on Feb 4th and goes through the month. 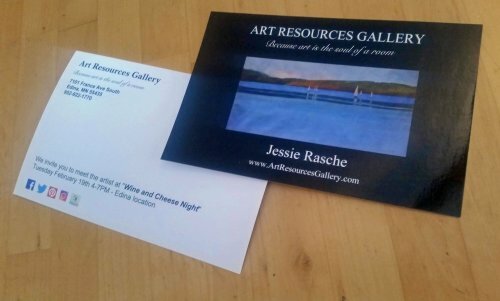 Stop in any time they’re open, and I hope to see you at the Wine and Cheese Meet the Artist event next week! 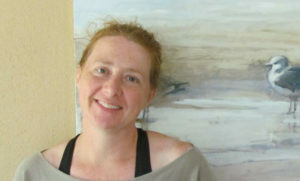 Black and White, 48×60″, oil, available through Art Resources Gallery in Minneapolis. 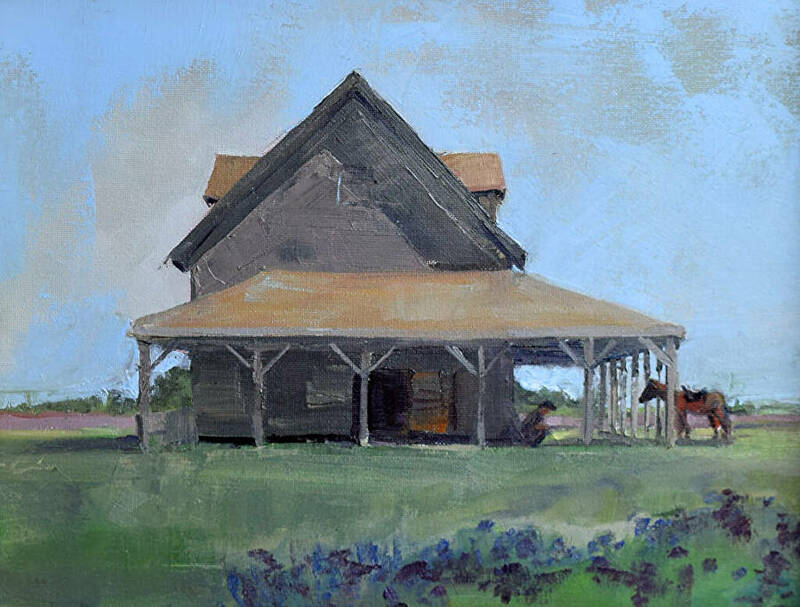 Horse Barn (Laura Ingalls Wilder Farm), 11×14″, oil, available through Art Resources Gallery in Edina, MN. 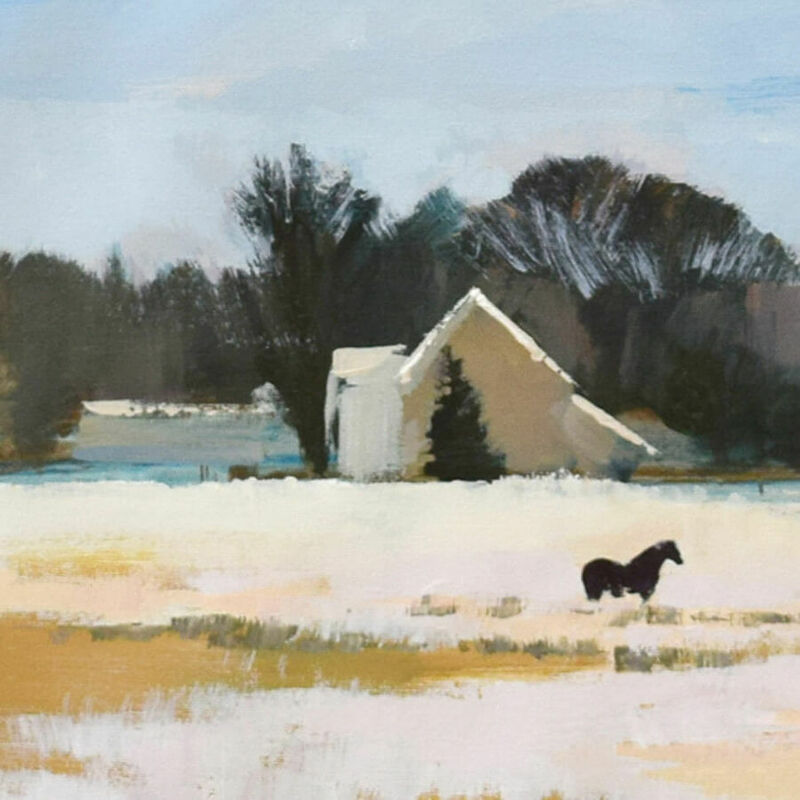 Playing in the Snow – Detail – 30×30″, acrylic, available through Art Resources Gallery in Edina. Thanks for sharing these beautiful images. You’ve inspired me to build a Texas Hill Country series that honors place like your Dakota series has. I’m enthralled with your work and approach!